Lean manufacturing is an implementation of the lean methodology, which focuses on eliminating waste within a system. It is often simply referred to as lean, and while manufacturing is the most common area where this methodology is used, it can also be implemented in a wide range of industries. The principles of lean were taken from the manufacturing industry in Japan, especially the Toyota Motor Company. These principles helped Japan rebuild after World War II, and they continued to develop over time to help Toyota and other companies become among the most efficient in the world. While lean began in Japan, it is now a global concept used in thousands of companies. The concept of eliminating waste is very appealing to manufacturers because it can directly improve the bottom line. In lean manufacturing, waste is anything that doesn't directly add value in the eyes of the customers. If the customers aren't willing to pay for it, then it is waste. Some examples of waste are things like scrap metal and other excess products that need to be disposed of in some way. Other types of waste can include time employees stand around waiting for work to do. It is also waste when a company adds in a feature that the customers won't buy. For example, if a company begins selling a product in multiple colors, that will come with additional expenses. If consumers won't pay extra for the options, then it is best not to have them at all, as it is actually wasteful. 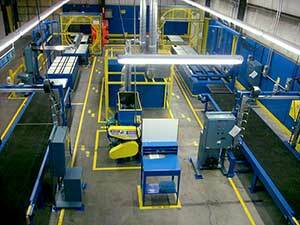 There are many types of waste that occur in most manufacturing facilities. Taking the time to identify the waste and eliminate it is absolutely critical to the success of lean manufacturing. While no facility will ever be 100% efficient, it is a good idea to continuously work toward that goal. One of the best ways to eliminate waste in a facility is to use the right tools to get the job done. There are many lean manufacturing tools available today. While some of them aren't worth the money (and are therefore wasteful themselves), others will help improve the efficiency of a company significantly. The following five lean manufacturing tools really work to help a facility eliminate waste and improve efficiency in some way. Evaluating each of them and seeing if they can help in a given situation is a great way to make progress toward the goal of eliminating waste in a facility. Floor tape is a very simple product, but it can dramatically improve a facility when used properly. Industrial floor tape is typically made with a strong material such as vinyl, which then has a strong adhesive to hold it in place. This type of tape can stand up to extremely harsh conditions including dirty areas, high traffic areas, and very hot areas. The most durable types of floor tape can even withstand having a forklift dragged over them without a problem. There are many ways floor tape can help a facility operate more efficiently. In addition to the following suggestions, most facilities can take the time to identify places where this type of tape will help them operate better. One of the most important things a facility can do with floor tape is work toward improving safety. Unsafe working conditions are wasteful because they cost the company money in terms of downtime while employees are treated for injuries, workers' compensation claims, lost productivity, and more. This is in addition to the obvious moral obligation of a company to keep its employees safe. Floor tape can be used as an aisle marker to identify where the edge of an aisle is located. This can make it much easier for drivers of high-lows and other vehicles to see how far they can go without bumping into shelving or other equipment. This type of visual indicator will help dramatically improve the safety of a facility. 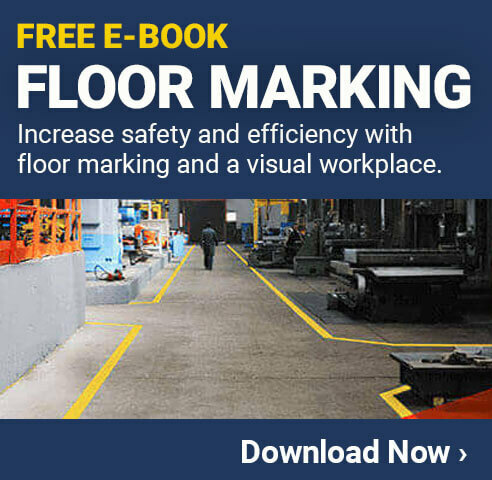 Many companies use floor marking tape as a visual indicator of what type of safety hazards exist. If the floor marking tape in an area is red, for example, that could indicate there is a fire hazard in the area so keeping heat, sparks, and other potential ignitors away is critical. Another color tape could mean there is a risk of falling objects, so hard hats are required. One last example is to use a particular type of floor marking tape to indicate which way people should travel to find the nearest exit. Glow-in-the-dark floor tape is one way to accomplish this. The tape can even be applied as an arrow or come in shapes like footprints so everyone who sees them knows exactly which direction to travel. Another way floor tape can help eliminate waste is by improving the efficiency of a facility. Marking the area around one machine with the floor tape and then using the tape to make a path to the next machine can help ensure everyone knows which way production flows. Marking the floors with tape in the shape of a number or letter (or even using pre-cut floor marking tape shapes) can help identify where in the facility someone is so they don't get lost and can find things more quickly. These are just two simple ways that floor marking tape can eliminate waste. 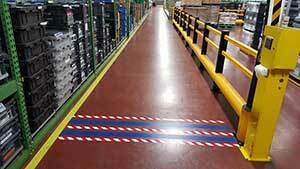 Spending time thinking through how the floor marking tape can be used in lean manufacturing will help identify improvement areas for the entire facility. Industrial label printers are another great lean manufacturing tool that many companies use to improve efficiency. An industrial label printer is a printer that has the ability to print off high quality labels. There are many models available, some of which print in black and white, others in color. They can also print different sized labels and have other options too. Understanding what the label printer is going to be used for is the first step in determining which model is needed. Most facilities use a variety of chemicals for things like cleaning, keeping machines running properly, creating products, and more. These chemicals are very useful, but they can often be very dangerous as well. Governmental organizations like OSHA require that manufacturing facilities have chemicals properly labeled with approved label types. These types of labels need to contain specific information about what the chemical is, what the potential dangers are, how to respond to a spill, etc. A good industrial label printer can provide all of this information quickly and easily. Using labels to identify specific machines and vehicles can ensure each one gets the level of maintenance necessary. Applying a label that has a bar code, a QR code, or even just a number to each indoor vehicle in the facility will allow for easy tracking of what maintenance has been done on each so nothing is overlooked. This will help prevent mechanical problems and other wasteful events. Shadow boards come in many types and are used to keep tools and other products properly organized. The most common example of a shadow board is a large pegboard hung on a wall. On the board is a cutout of the shape of each tool that is stored on the board. This helps employees who use these tools know exactly where they should be returned when the job is done. Shadow boards also make it much easier to identify which tools are missing at the end of a shift. With just a glance, it is easy to see every tool that is still gone because the shape of that tool will stand out clearly. The shift supervisor can then go to the checkout book to see who is using that tool and make sure they return it before leaving. Shadow boards ensure tools are stored properly so they are safe and also help prevent theft and loss of tools. This can save a lot of time and money compared to having to always track down each needed tool. 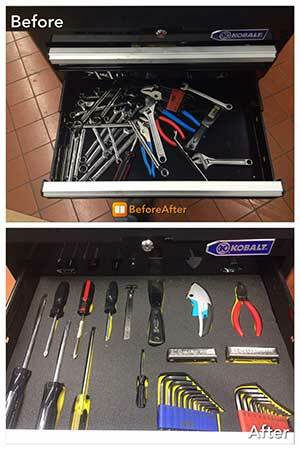 Another product related to shadow boards is foam tool organizers. Having foam cutouts in the shape of each tool that will be stored in a toolbox or drawer can accomplish the same thing as a shadow board. Since the tool is surrounded by foam when not in use, this is also an ideal option for tools that must be kept safe from damage. Visual communication is an essential component of lean manufacturing, and nothing is more visual than signs and posters. Using signs and posters in a facility is a great way to convey information to the staff so they know what is happening in the area. A safety sign that lets everyone know what personal protective equipment is needed in an area, for example, can be helpful. Putting up exit signs, hazard signs, and any other type of sign that is needed will also help everyone know where they are and how to get where they are going while in the facility. In addition to helping keep people safe in the facility, signs and posters also streamline the entire area by ensuring everyone has the basic information they need to get their jobs done properly. Signs and posters can be used in many ways in the facility and they can either be bought pre-printed, printed off on site, or special ordered to convey the exact information needed. 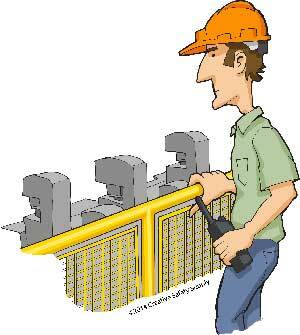 Safety - Keeping employees safe helps avoid downtime, which is a form of waste. It also helps ensure they are able to work on their shifts and that they don't experience minor injuries that can cause them to work more slowly. Response - Having the right PPE on site at all times also allows the proper employees to respond to urgent situations more quickly. This can minimize the risk of danger during an emergency situation so both the employees and the facility itself are protected. Confidence - When working in dangerous areas, it is important that the employees are able to confidently do their assigned tasks. Wearing the right personal protective equipment can give the employees the confidence they need to get the job done without delay. Compliance - There are many situations where employees are required by law to wear specific types of PPE. Having the PPE on site and ready to be used can prevent compliance issues, which can result in fines and other penalties. Fines and penalties are, of course, a form of waste for the facility. Determining what type of personal protective equipment is needed is very important. It is the responsibility of the employer to ensure all the necessary personal protective equipment is on site and ready to be used by the employees. Except in some very limited situations, the employee cannot be required to buy or bring in their own safety equipment.